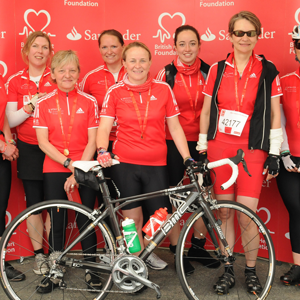 On Sunday June 16 Sportsister’s Danielle joined British Cycling’s Team Breeze and an amazing 28,500 other cyclists for the famous, British Heart Foundation London To Brighton Bike Ride. Read on, to see how she fared. I’ve cycled on and off all my life, mainly as transport but more recently just for fitness and the pure enjoyment. I’ve taken part in a couple of Cycletta events and last year tackled the Coast to Coast with a group of friends, so I would class myself as a recreational cyclist but I am also quite a solitary rider. I love the freedom and the time to think, and I really love just being out on beautiful country lanes on my own – just me and my bike. 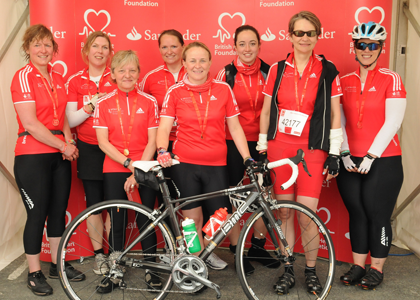 So when I was invited to cycle the 54 mile London to Brighton ride with Team Breeze, I jumped at the chance – much as I love being a loner, I also love being part of a team from time to time. And this group of inspiring women who spend their time encouraging and nurturing less confident riders made for perfect team mates. Read all about the brilliant Breeze Network here. 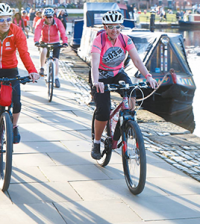 With over 28,000 other riders taking part, this ride can get congested, so we set off at 6am (meaning a 4.10 am alarm call!) to try and avoid the crowds. Of course this also means my experience was very different to many others who will have had a very chilled ride with lots of pit-stops. But me? I just loved riding on the relatively quiet roads and just didn’t feel the need to stop! Starting early also meant we were surrounded by some really good club cyclists clearly viewing the ride as training. I’ll be honest, for me, being in the peleton with this bunch was at times a little intimidating, but I kept to the inside edge and on the whole it was fine apart from a few reckless riders who chose to ignore the marshals – there are always some idiots! Once we were out past the London suburbia the route was truly lovely, we went through stunning villages, past ponds and along country lanes. There were a few hills – well four to be exact and I made it up all except the much feared last climb, Ditchling Beacon. 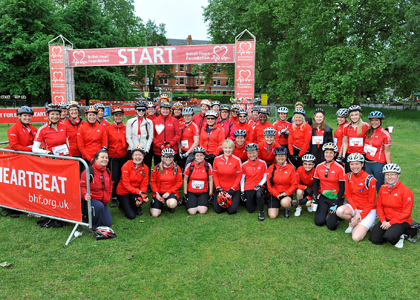 This really sorts the bunch out, but there was a great atmosphere as we walkers cheered on the valiant riders crawling their way to the top – and I am proud to say a fair few of these were my fellow Team Breeze riders! Once at the top, the view was breathtaking and from this point it was just 7 miles, all downhill to the finish. Before I knew it, we were in Brighton and the hubbub of urban life again and then finally on the seafront promenade to the finish. Having only stopped briefly to grab some food from my rucksack and of course walk-up the final hill, we were in Brighton by 10.30 and enjoying the benefits of VIP hospitality. 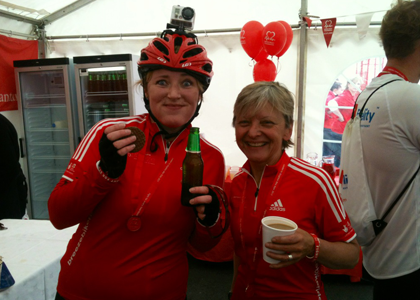 Inevitably some of the team indulged more than others – but for me the tea and biscuits were enough and very welcome. 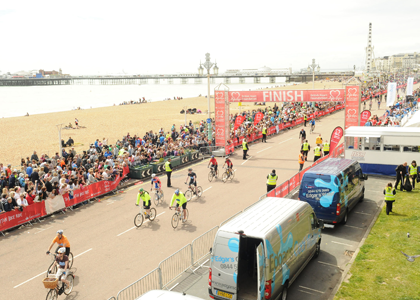 Along the finish area were toilets and food stalls and loads of spectators, so it made for great atmosphere and if I hadn’t had a long journey home I would have loved to have sat on the beach and eaten chips! Instead I headed for my pre-booked afternoon coach back to London, all brilliantly organised by the British Heart Foundation. You do have to allow time and energy for this though as first you have to cycle a couple of miles along to the coach stop and then you have to wait while two coach loads of bubble-wrapped bikes are loaded into a truck. So if you are unlucky with the timing it could be a while before you set off. I waited around 20 minutes, but was comfortably sat on a coach, plus there were very welcome toilet facilities for riders, so nothing to complain about. We arrived back in London around 3pm and after a final cycle across town to Paddington I was on the final leg of my journey home. – Lovely route, mostly scenic and generally quite flat (well. compared to the west country where I live!). – Very well organised, hundreds of marshals along the route. 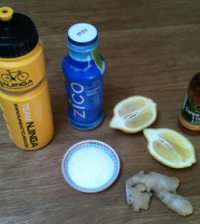 – Loads of official and unofficial food and drink stops. – Lots of places to sort out any bike problems and opportunities to buy accessories like Gel Bike saddle covers! – Great atmosphere and a wonderful finish on the sea-front. – No bag drop facility so you have to carry anything you may need during and after the ride. I took a rucksack and a minimal amount of things so it was not a problem, luckily the weather was good, so we didn’t need a full change of clothes. – Can get congested, so either just chill and enjoy the atmosphere or book an early start slot! 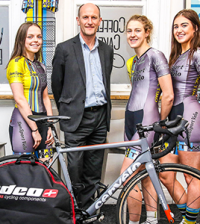 – Some idiot cyclists – but this is not the organisers fault and is pretty hard to manage. Want to enter next years event?